Good news laid-off oil workers: U.S. energy companies could soon face a serious worker shortage. 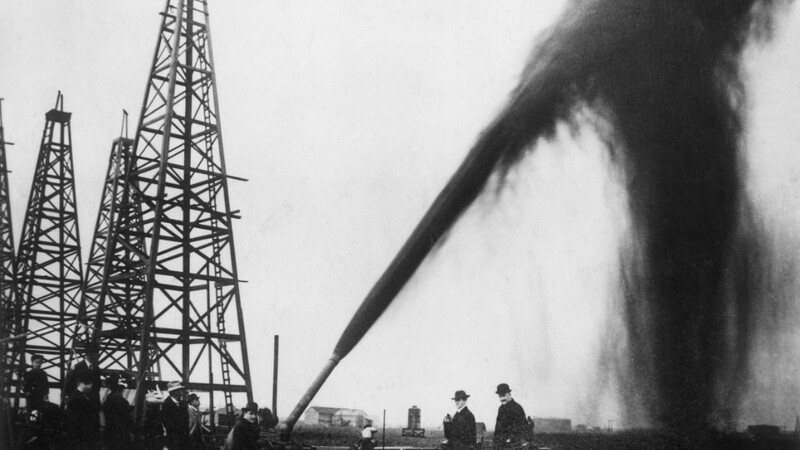 Goldman Sachs believes the American oil industry is about to stage a big comeback from the painful downturn and big job losses caused by oversupply. As more oil fields come on line and America's oil boom gets back on track, there simply won't be enough people to do the required drilling, well completion and other logistical work. Cheap oil wiped out nearly 170,000 oil and gas jobs since late 2014 as desperate companies scrambled to cut costs and avoid bankruptcy. That means just to keep up with the expected ramp-up in drilling activity, the oil and gas industry would need to add 80,000 to 100,000 jobs between now and the end of 2018, Goldman predicted in a recent report. The estimate is based on Goldman's forecast for U.S. oil production to resume growing next year after the recent drop to two-year lows. That growth would require some 700 oil rigs to be added -- and each one supports an average of 120 to 150 employees. Jeff Bush, president of oil and gas recruiting firm CSI Recruiting, agrees that a "worker shortage" is coming. "When we get back to a reasonable level of activity, there's going to be a supply crisis of experienced personnel. I just don't see any way around that," said Bush. That would be incredible news for people like John Ratcliffe. The 55-year-old has struggled to find work since he was laid off by Transocean (RIG) in March after eight years as chief mate aboard vessels operated by the offshore drilling contractor. "It has been rough," Ratcliffe told CNNMoney. He said he knows of at least one former coworker who has committed suicide since the downturn began. The struggle has forced Ratcliffe to recently leave his residence in New Hampshire for a temporary job with Rowan (RDC), another offshore drilling company, in Curacao, a Dutch island in the Caribbean. Ratcliffe is not alone. The list of America's biggest job-killing companies this year is dominated by energy companies, large and small, including National Oilwell Varco (NOV), Schlumberger (SLB), Halliburton (HAL) and Chevron (CVX). 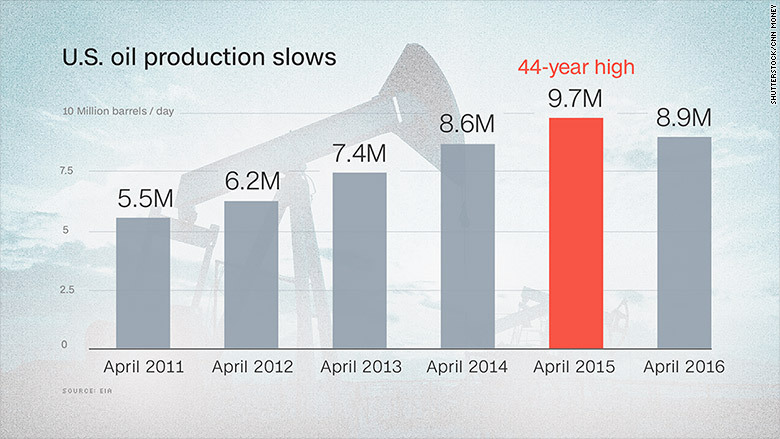 All told, Goldman estimates that 170,000 oil and gas jobs have disappeared during the downturn. That's far worse than the 87,000 jobs wiped out during the last downturn in the middle of the Great Recession. "It's been brutal. You've seen a lot of good people get handed their walking papers, with really no option as far as other employment opportunities," said Bush. Some former oil workers have found jobs in the construction industry, though these jobs often come with lower salaries. The average pay in the oil and gas business is 63% higher than construction -- and 84% higher than the national average, Goldman said. Bush said people who have a "niche skillset" in jobs such as petroleum engineering and geology have had difficulty finding work because their talents aren't easily transferable to other industries. The shale oil and gas revolution created an influx of jobs, with 233,000 created between mid-2009 and late 2014, Goldman estimates. "The industry was poaching people from every industry imaginable to get them to move to North Dakota or Alaska to work on rigs or drive trucks," said Bush. That task was made easier by the large pool of Americans looking for work following the Great Recession. Even though the labor markets look pretty healthy these days, Goldman thinks oil companies will be able to hire enough talent, in part because of their willingness to pay better salaries. "Oil and gas companies, as they have traditionally done, will throw money at the problem," said Bush.